We had a sport heavy weekend, and need all the bread to fuel up!! I paid a visit to Great Harvest Cville to stock up on some favorites. It had been a while since I had been to the store! We stocked up on The Best Pancake Mix, Cinnamon Chip and Apple Dapple (used to be Apple Scrapple! 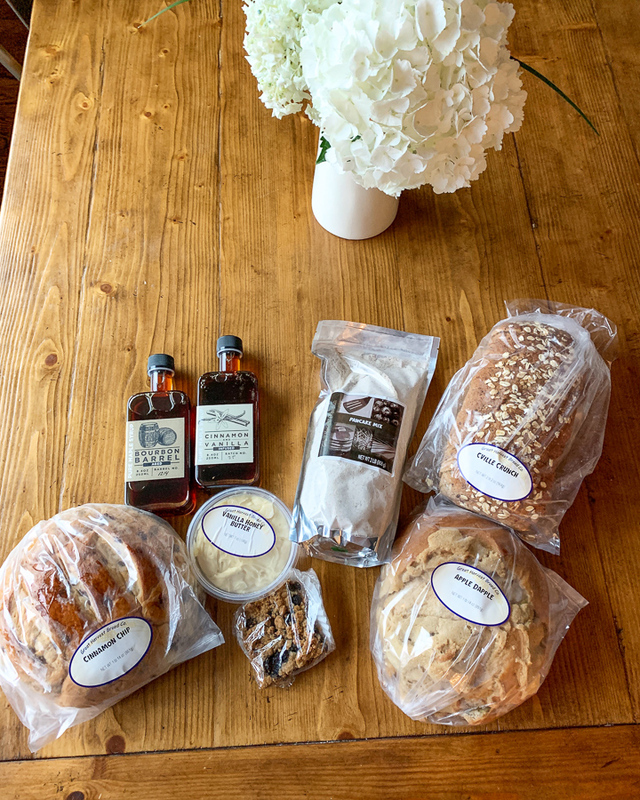 )(also we froze half of the sweet breads), Cville Crunch, Savannah Bar, honey butter, and two maple syrups from Old State Farms – bourbon barrel and cinnamon vanilla. OMG – they are so good! 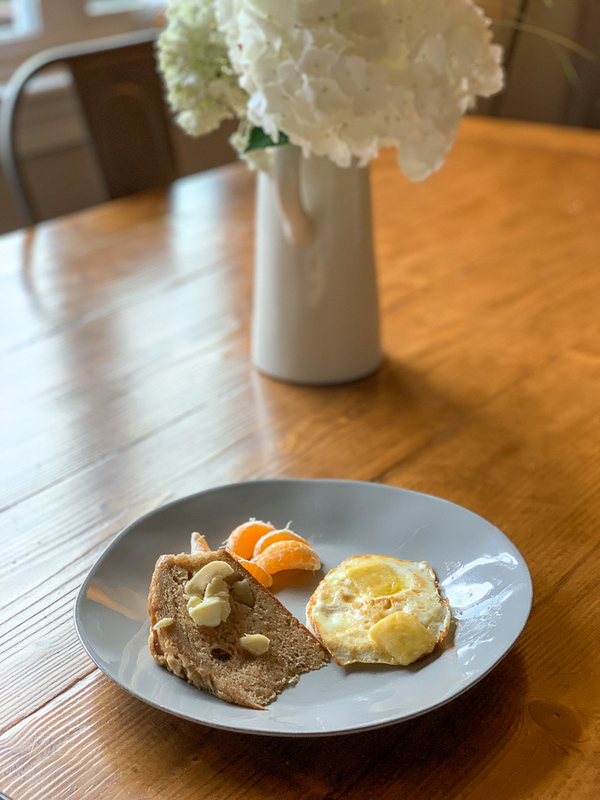 Friday’s breakfast was apple bread with honey butter, egg with sharp cheddar, and clementine. On Friday night Thomas and the boys had a bro night while I went to ACAC for an evening workout + social. We ordered Belmont Pizza, and I had a slice for half a dinner before I left. 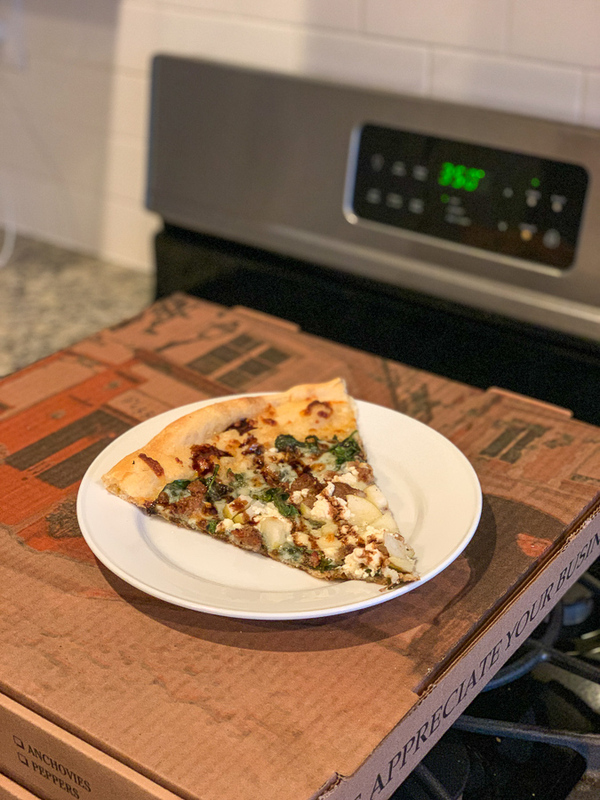 The Rialo is the BEST with sausage, apple, and balsamic drizzle. The workout was awesome. Matt (yes that Matt), who now teaches at ACAC, and his girlfriend, Katie, who is a trainer and group ex pro, led a Couples Class for the group. I showed up thinking: “I’ll just get a spot in the back and take it easy while I socialize” and Matt and Katie showed up thinking: “This is going to be the hardest workout they’ve had all week!” It was great, and my abs are still sore from all the planking! 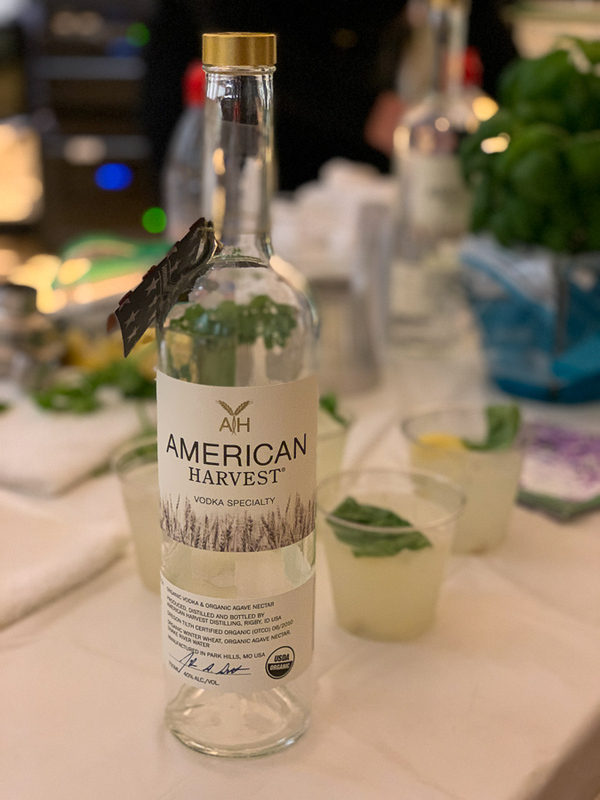 Afterwards, they had wraps, pita platters, and cocktails by American Harvest, a super pure, organic vodka company. On Saturday morning, we ate more bread! 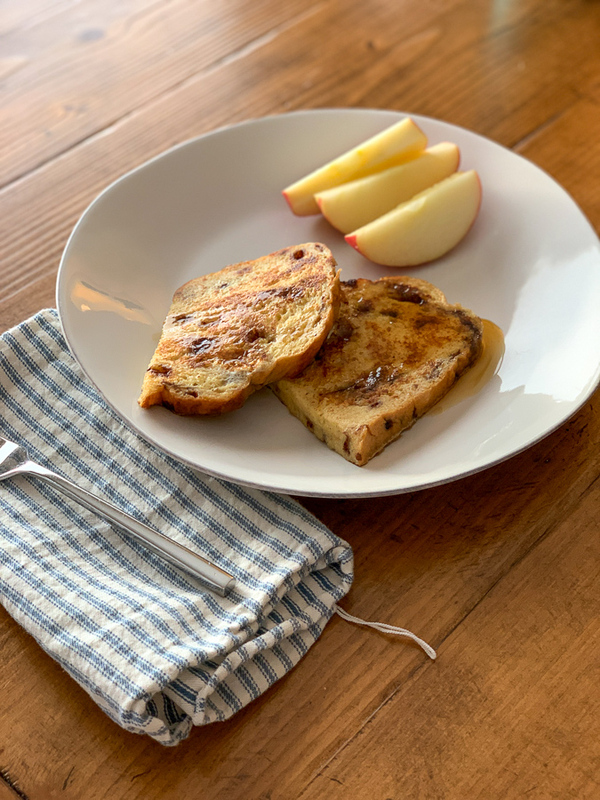 This time special French toast with the bourbon syrup, as promised. So good! Poor little Mazen came into our room at 6 am complaining of a headache, and I knew immediately that he had a fever. Luckily it was only 100.5, so not super high, but high enough to cancel all plans for the day, which included not one but TWO birthday parties 🙁 Also, my parents were supposed to come up on Saturday, but my mom came down with some sickness cold and they had to cancel as well. We had so many plans for the weekend and ended up just staying home all day. Despite his fever, Mazen was near 100% on Advil and so instead of staying in bed resting all day he wanted to play, play, play. Doesn’t seem too sick to me! 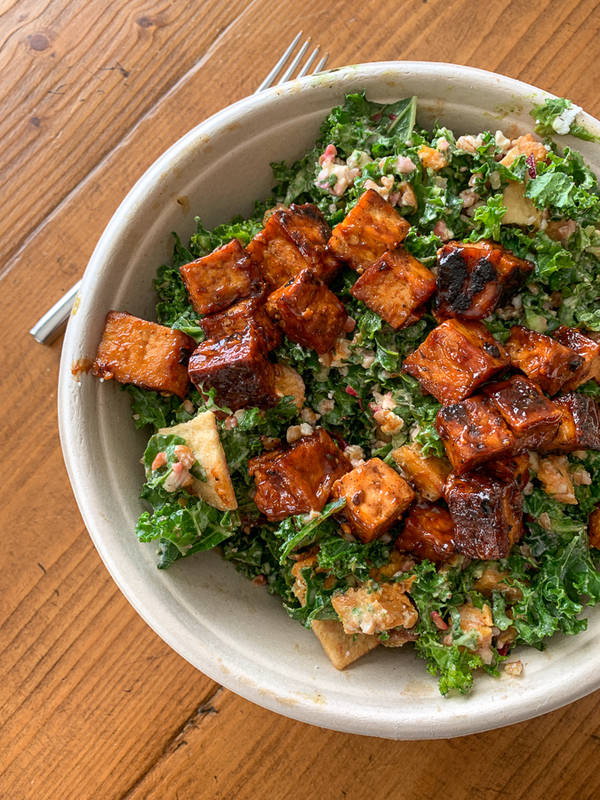 Thomas brought us Roots for lunch after a visit to the gym, and I otherwise didn’t leave the house all day. 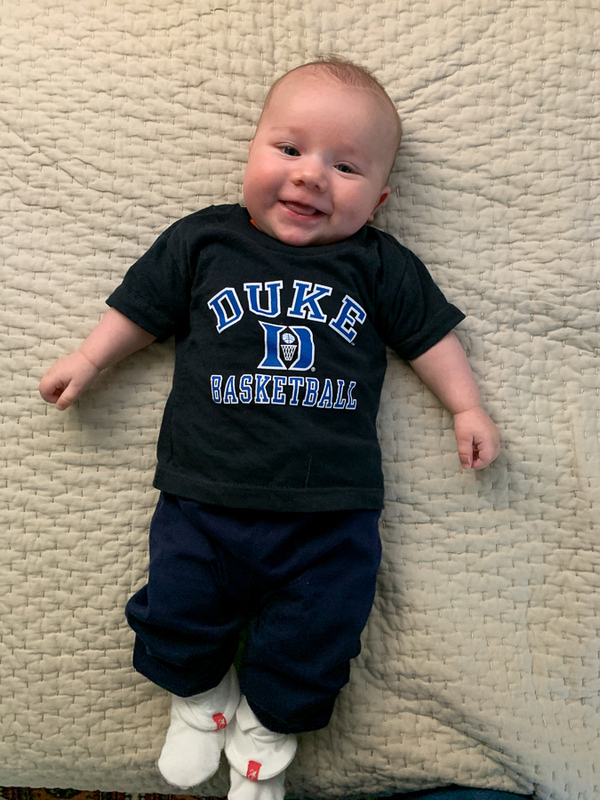 Originally my parents were going to babysit so Thomas and I could go to the Duke/UVA game together. We’ve been talking about the game for months! 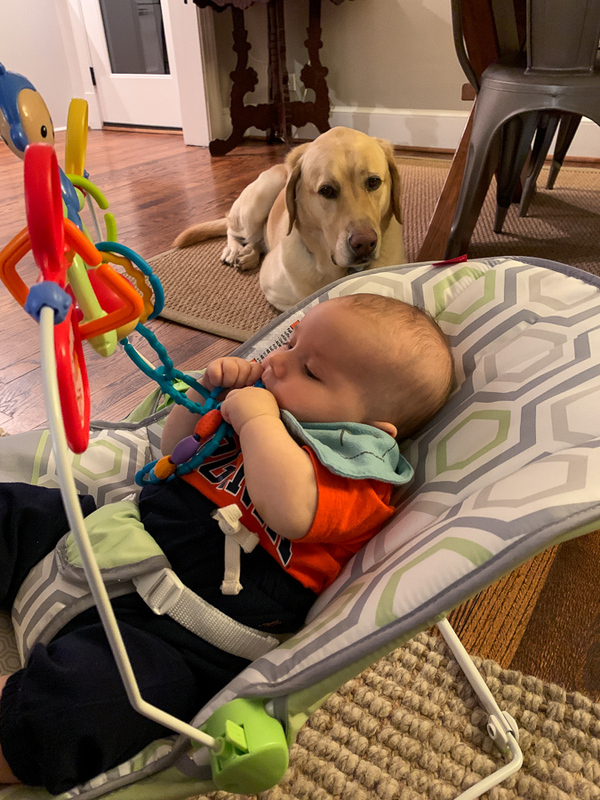 But alas our sitters were busy, and then when Mazen got sick I knew I would want to stay home with him. So Thomas took a very lucky friend in my place, and Mazen and I watched the game together. As many of you know, I grew up a big Duke fan, and Thomas was horrified when he discovered this upon meeting me. 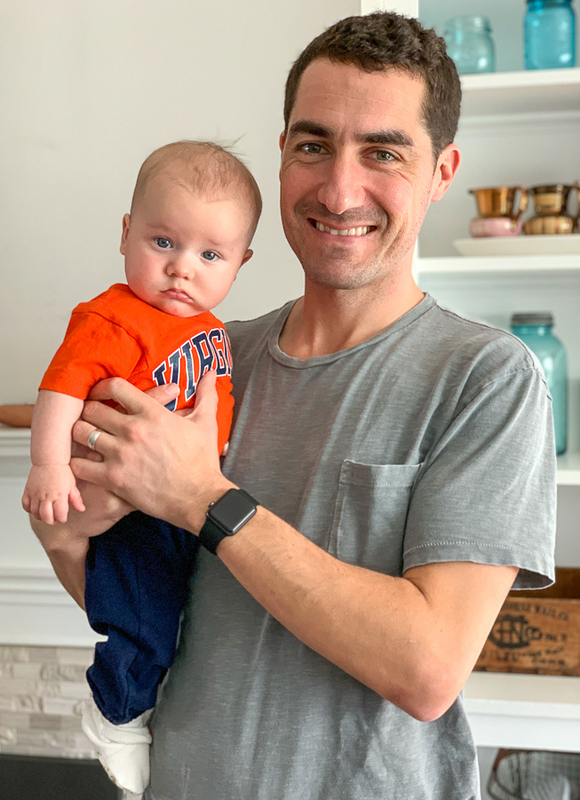 He has since converted Mazen (Mazen Duke) to a Hoos fan, and so we had a lot of family fun getting ready for the game. 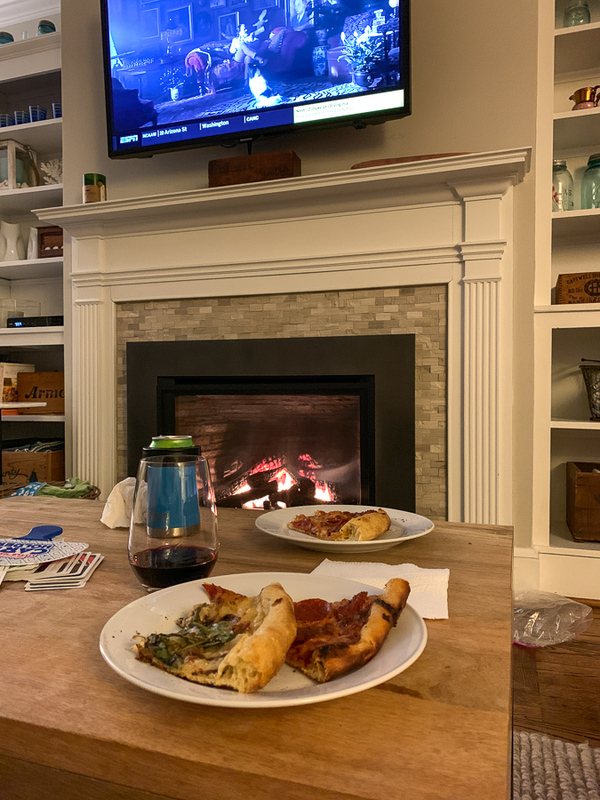 We ate leftover pizza for dinner and watched the whole game together. So happy with the Duke win! 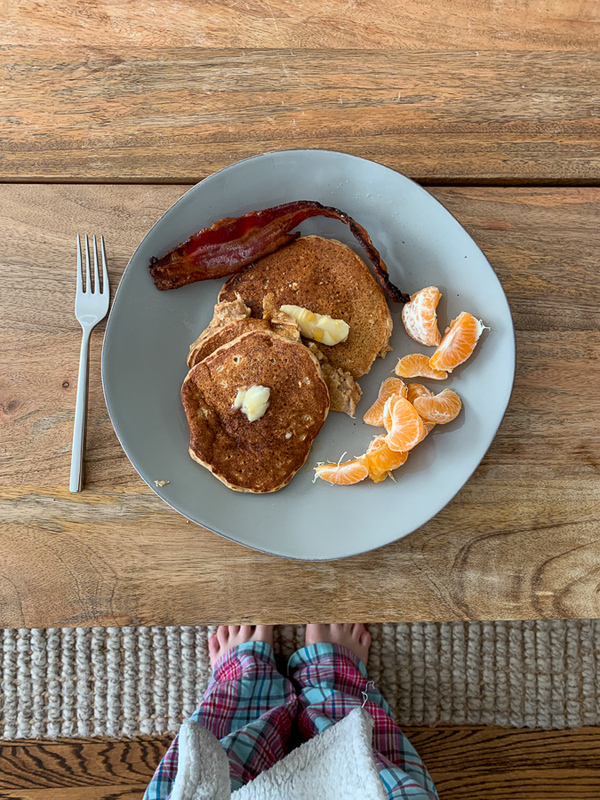 On Sunday morning we had Great Harvest pancakes! 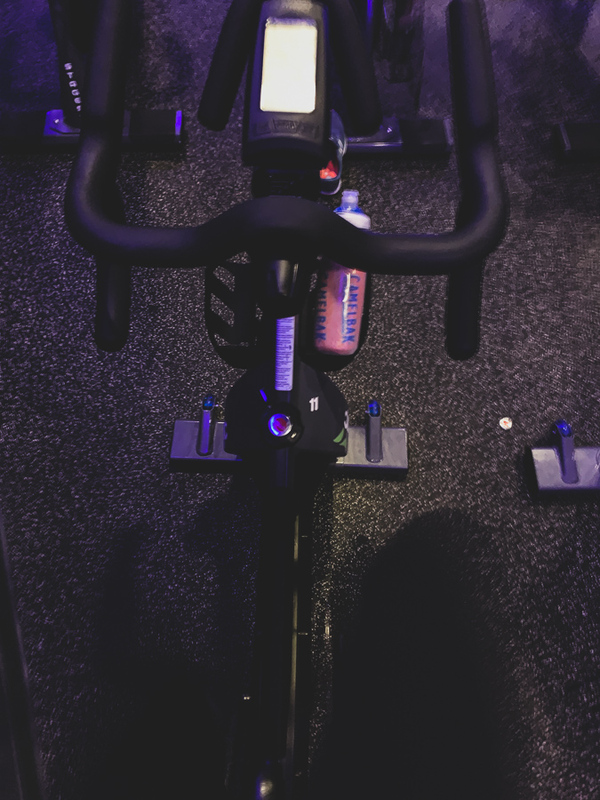 I finally got out of the house to a noon cycle class. And that’s the end of that chapter! 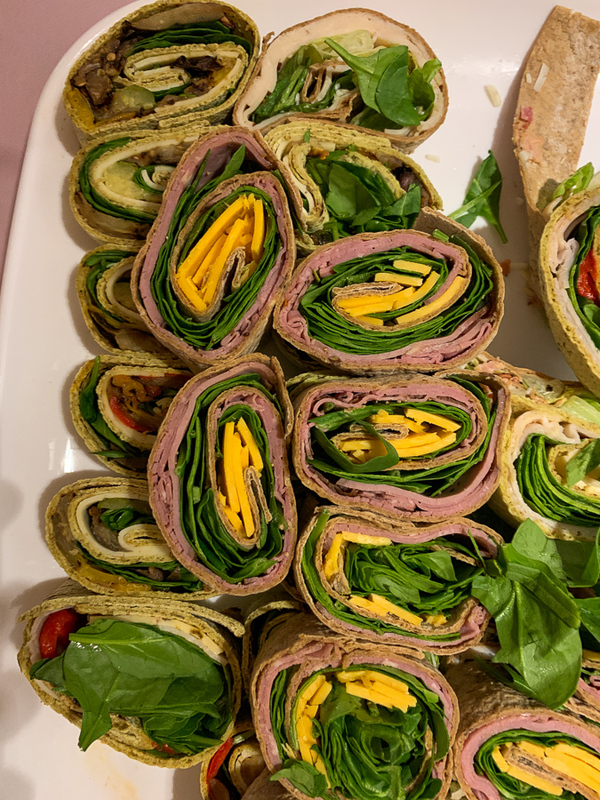 I’m craving wraps now – I love how colourful the ones you posted are! I just want to tell you how very much I enjoy your blog and Instagram. It’s absolutely my favorite. I look forward to reading it each morning with my coffee. 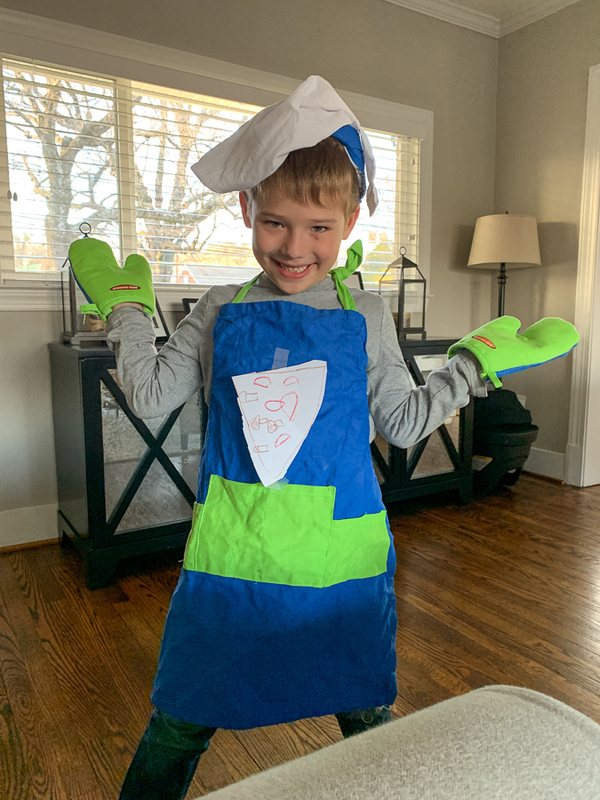 You have a great mix of food ideas and family stories with just the right amount of humor. You come across as very relatable but still inspire me to live a balanced life. Thank you! I guess the new owners changed the name to Apple Dapple because “scrapple” is a breakfast dish made from pork scraps. Looks like a mostly fun weekend! Yes scrapple was a franchise-wide name I think because whoever named it wasnt from scrapple region and the new owners are so they just changed it. I like dapple better anyways! 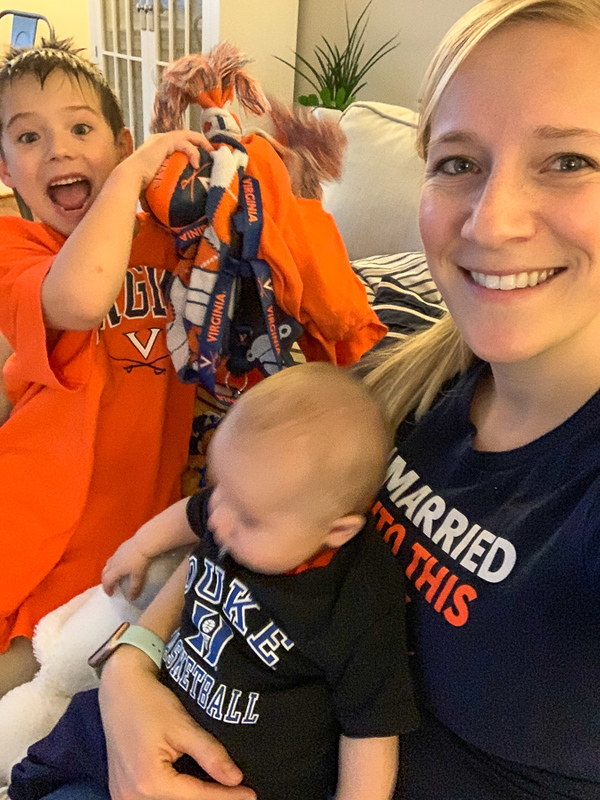 Kath, I have so many pics of my three littles in both UVA and Duke gear. Your photos made me smile from ear to ear. 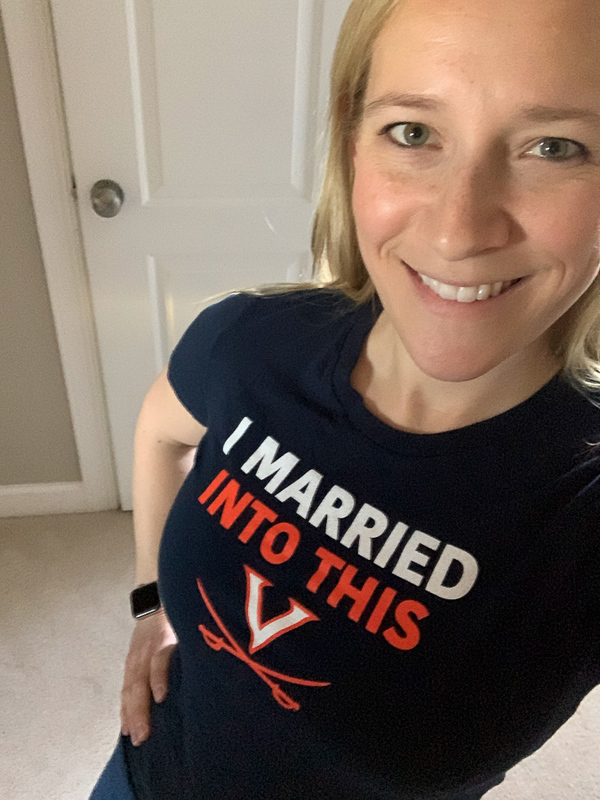 As a lifelong Duke fan/UVA alum who married a UVA alum, we especially LOVE your t-shirt!! 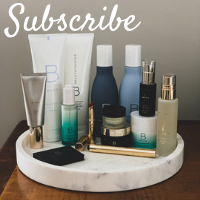 Your blog has gotten increasingly ad/pop up heavy, and now you must click through to keep reading. Is there a reason for this new feature? I’ve enjoyed your blog on and off for a few years now, but the level of commercialization is off putting to me. I realize it’s your income. Just bummed that this the direction that blogs have taken. I’m trying to make it easier to see all of the recent posts rather than scrolling for ages since some of them are very photo lengthy. Also because my topics are so varied and people might want to pick and choose which posts to read rather than always reading the newest. So I’m testing a few things and making a few design changes. It’s not all about being “commercial” – there’s some thought behind it. I’m looking for the best user experience to suit most people. Just wanted to say I’ve followed your blog for many years, way before the opening of Great Harvest. I’ve been intrigued with Cville all these years and finally got to work in a short visit with a girls trip this past week. Thurs evening we ate at Citizen Burger where the burger and stout ROCKED! Thurs we enjoyed a foggy visit to Monticello, lunch at Michie Tavern and a quick stop by Blenheim Vineyards which had the best wine! We packed a lot into a short stay and I can’t wait to visit again. Truly a beautiful town and surrounding area. 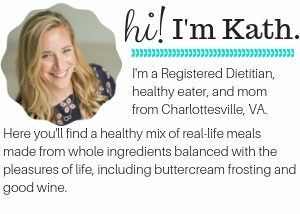 Without stumbling onto your blog years ago I would have never had Cville on my list of places to visit. Thx!! Oh yay! That’s so great to hear. It is such a great town for girls trips and romantic getaways (and living, of course 🙂 ) Glad you had a good visit, and come back soon! So much more to see and do!